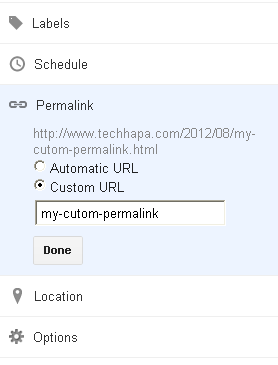 Few weeks ago, Google introduced a feature in blogger that allow users to add custom links to their posts. 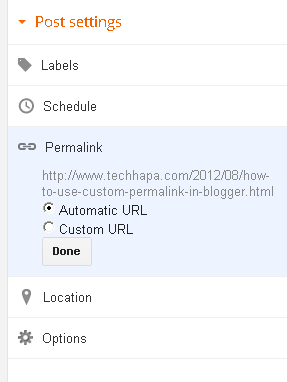 Normally when your write a post, blogger automatically generates a permalink based on the title of the post. 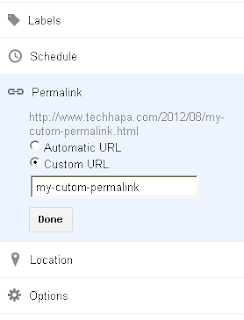 Having a custom permalink helps you to have more control of your post. Apart from giving you posting flexibility, it also provides your readers with more information about your post when scanning through search results here is an example.